The DanzeOff 2017 dance convention and competition in Washington D.C. is honored to have Debbie Allen, an incredibly dedicated artist, dancer, and supporter of the arts as an instructor. She brings a passion and talent for dance that has inspired countless people to express themselves through dance. 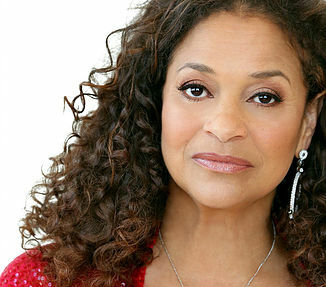 The name Debbie Allen is synonymous with dynamic energy, creative talent, and innovation. Over her three decades in the entertainment industry, Ms. Allen has earned three Emmy Awards, a Golden Globe, five NAACP Image Awards, a Drama Desk, an Astaire Award for Best Dancer, and the Olivier Award. She also holds four honorary Doctorate degrees and has a star on the Hollywood Walk of Fame. In 2001 she was appointed by President George W. Bush as a Cultural Ambassador of Dance. For over 15 years she has been artist in residence at the Kennedy Center, creating original works with James Ingram and Arturo Sandoval. Some of these works include: Pepito’s Story, Brothers of the Knight, Dreams, Soul Possessed, Alex in Wonderland, Dancing in the Wings, Pearl, and Oman O Man. As a director and producer she has worked on a wide variety of programs including FAME, Grey’s Anatomy (where she is the directing executive producer and also recurs as the character Dr. Catherine Avery), Scandal, Empire, How To Get Away With Murder, Jane the Virgin, A Different World, Everybody Hates Chris, That’s So Raven, Cool Women, Quantum Leap, Stompin’ At The Savoy, Polly, The Fantasia Barrino Story. In 2008 she directed Cat on a Hot Tin Roof on Broadway and London’s West End. Ms. Allen was the creative force behind Steven Spielberg’s Oscar nominated epic, Amistad, where she also served as producer. She also holds the distinction of choreographing the Academy Awards ten times. She is influenced by the legendary artists who directed and trained her including Katherine Dunham, Alvin Ailey, Bob Fosse, Jerome Robbins, Gil Cates, Alan Johnson, Donald McKayle, Derek Walcott, Louis Johnson, Twyla Tharp, Henry LeTang, Tatiana Semenova, Jo Jo Smith, Mike Malone, Willie Covan, Patsy Swayze, and George Faison. Ms. Allen has directed and choreographed important artists, including Lena Horne, Sammy Davis Jr., Michael Jackson, Whitney Houston, Janet Jackson, James Earl Jones, Will Smith, Phylicia Rashad, Mariah Carey, Gregory Peck, and Queen Latifah. With her keen eye for talent, Ms. Allen discovered beloved entertainers such as Jada Pinkett Smith, Gary Dourdan, and Jasmine Guy. She was responsible for giving Mia Michaels her first choreographing job for television. As a person truly devoted to the arts education of young people, she has trained some of the most dynamic young talent working today – Vivian Nixon, Jada Grace Gordy, William Wingfield, Taylour Paige, Danny Tidwell, Dion Watson, Corbin Bleu, and Hannah Schneider. Allen founded the nonprofit Debbie Allen Dance Academy in Los Angeles in 2001. The school’s mission is to help youth who have an interest in learning dance and performance techniques. She has worked tirelessly to enlighten, inspire and engage people around the world through dancing and theater arts. Her most recent work, FREEZE FRAME… Stop The Madness, a dance-driven narrative exploring the repercussions of gun violence in America, is traveling to Washington, D.C., and will make its East Coast debut at the John F. Kennedy Center for the Performing Arts.